Everyone Loves Fun has been offering staffed Inflatable Attractions since 1999. 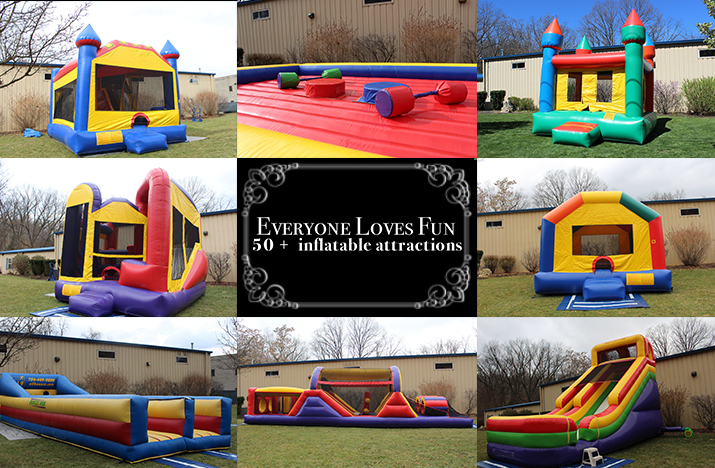 Choose from any of our 50+ inflatable attractions that perfectly fit your event! Options include moon bounces, giant slides, obstacle course, bungee run, bungee ball, Defender Dome, All in 1 Sports Arena, and more!